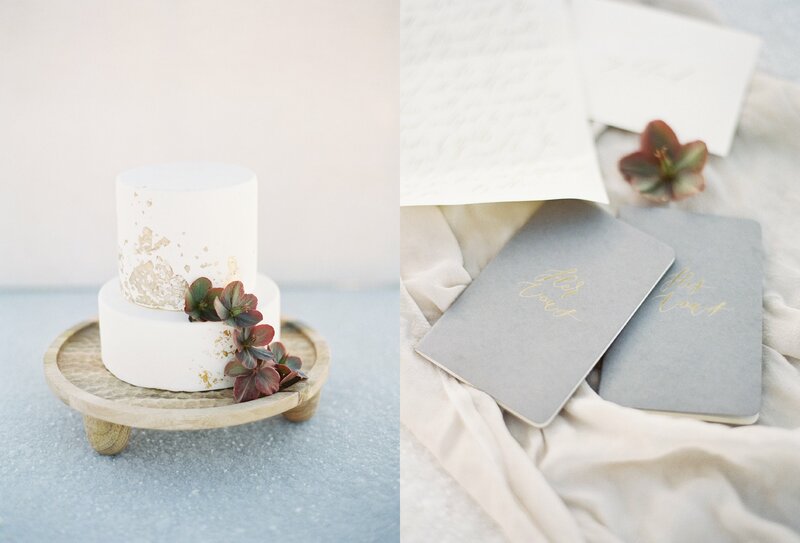 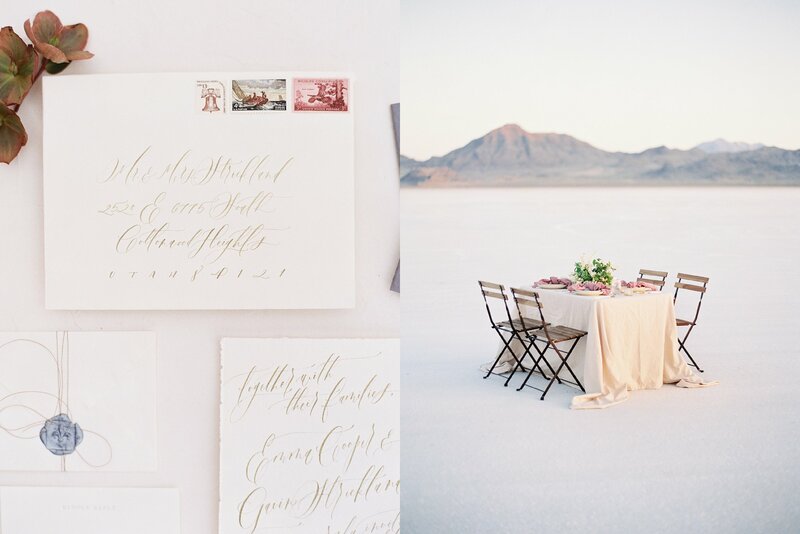 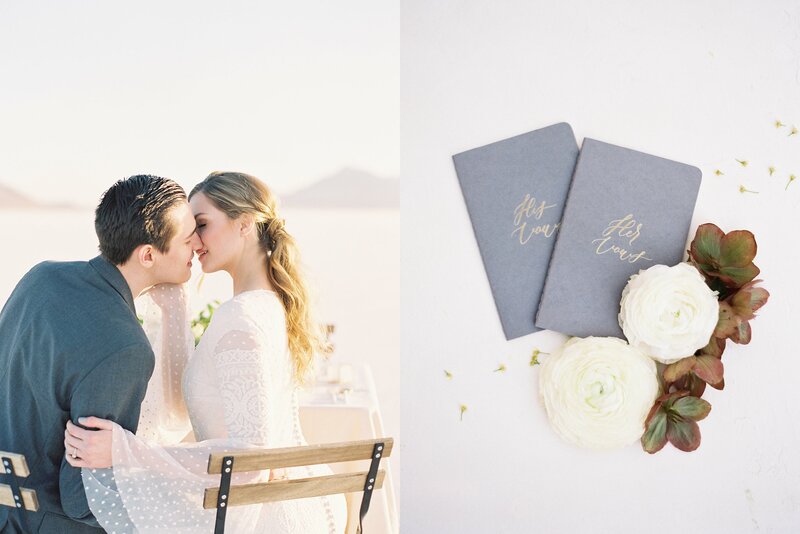 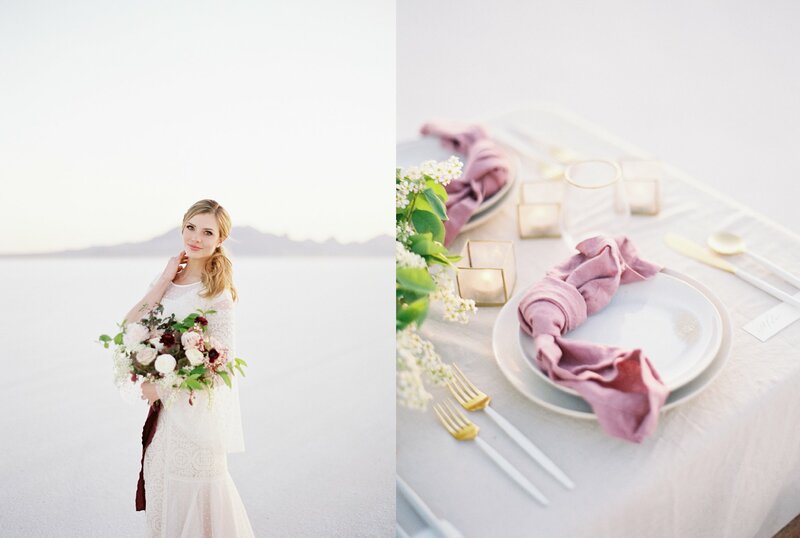 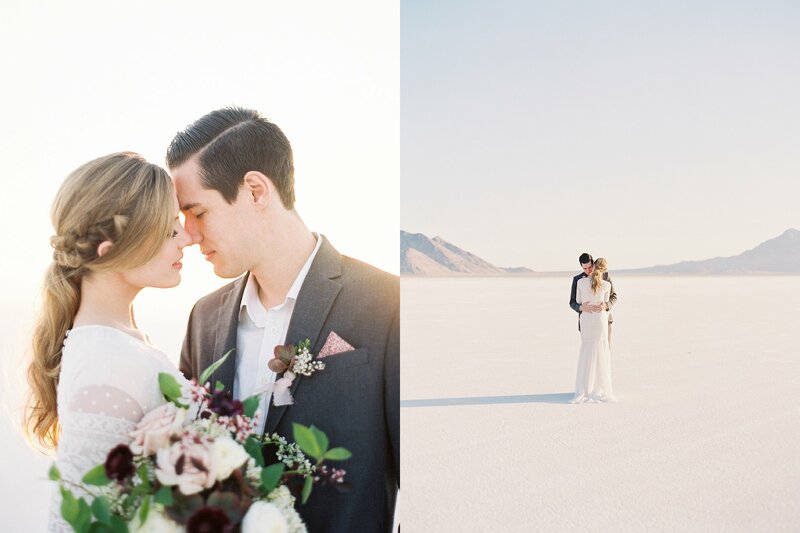 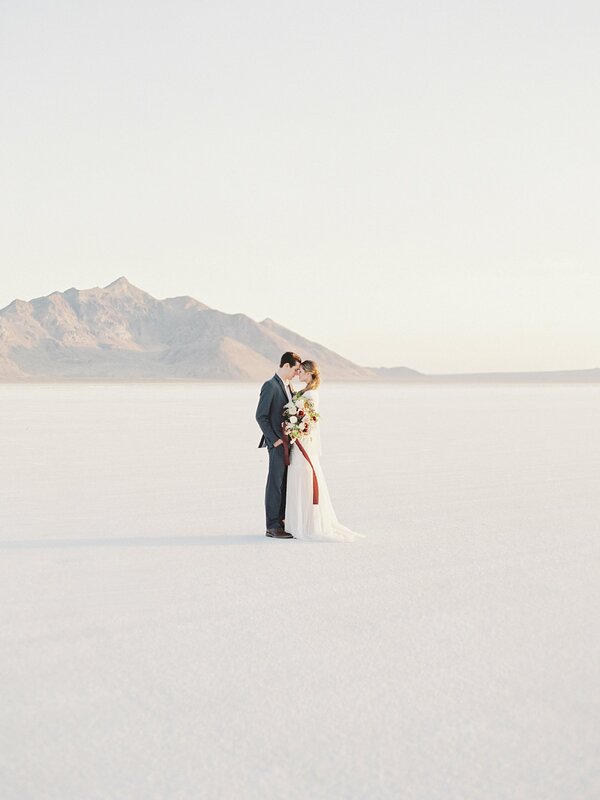 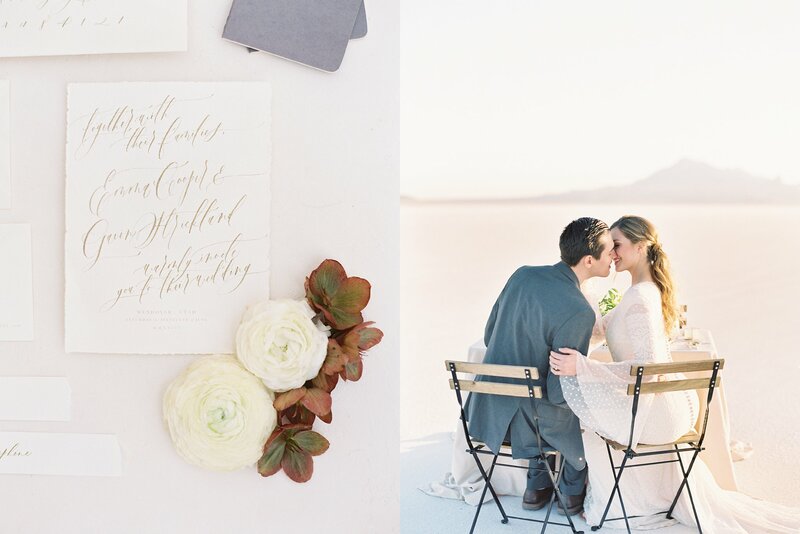 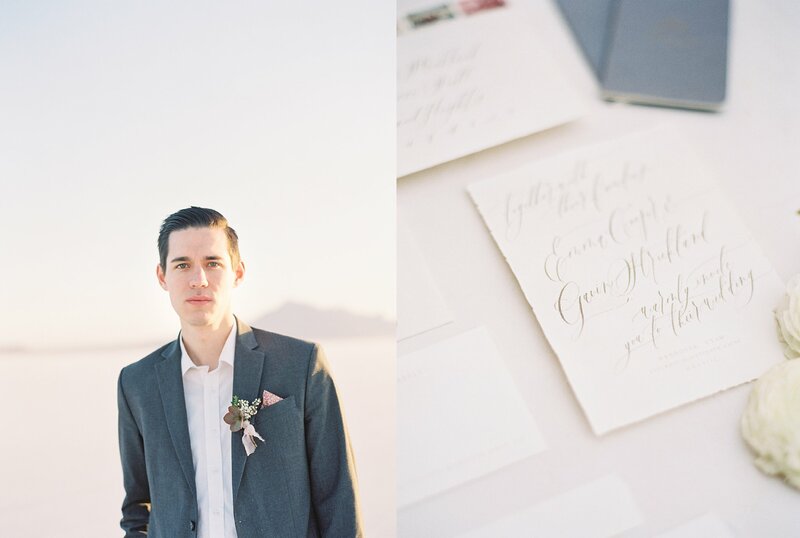 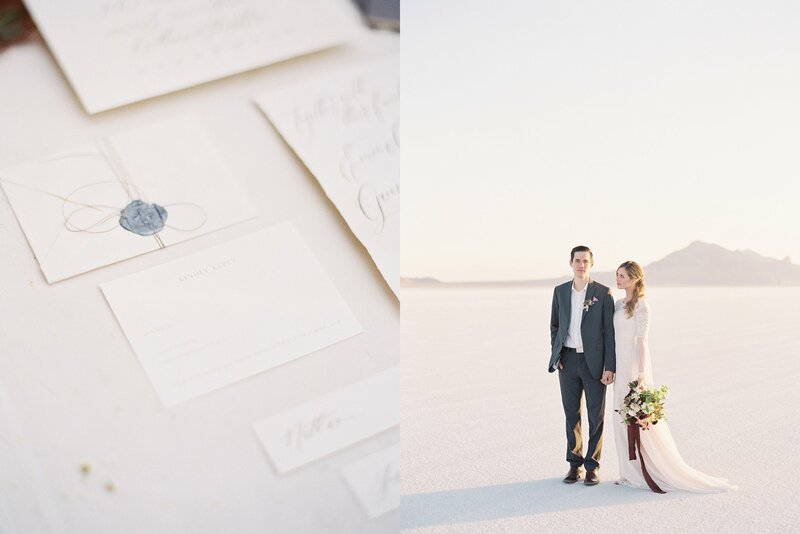 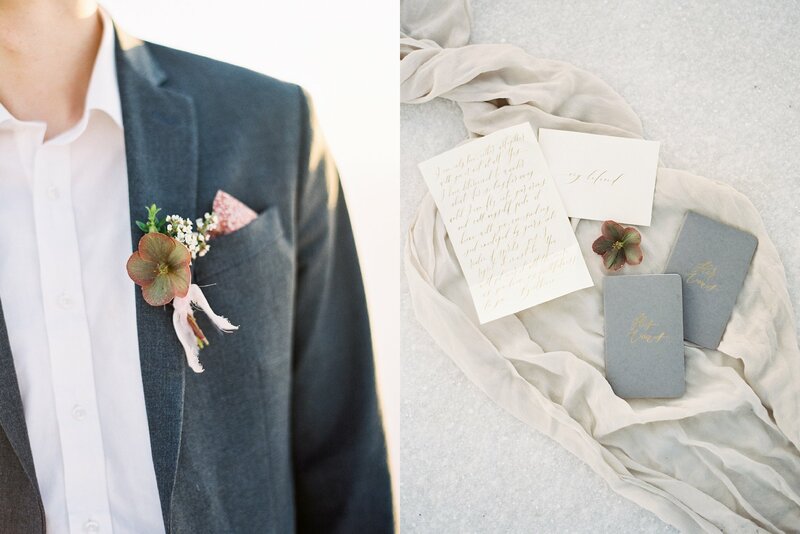 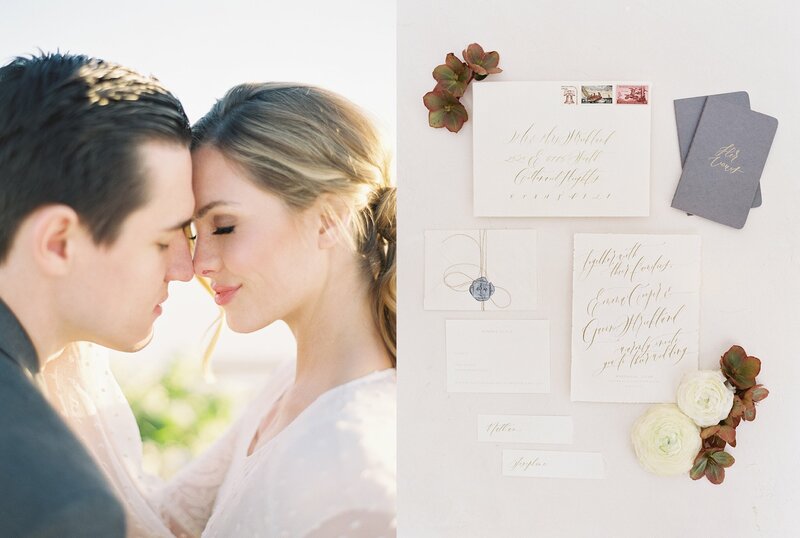 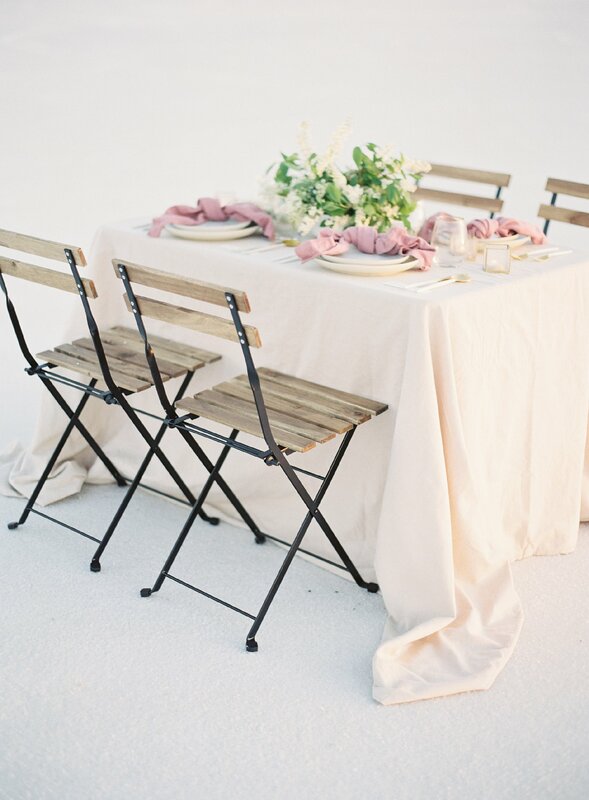 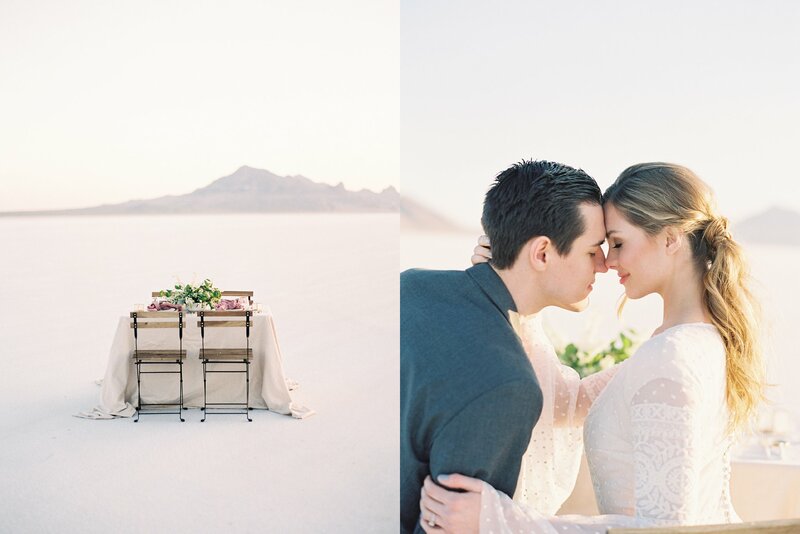 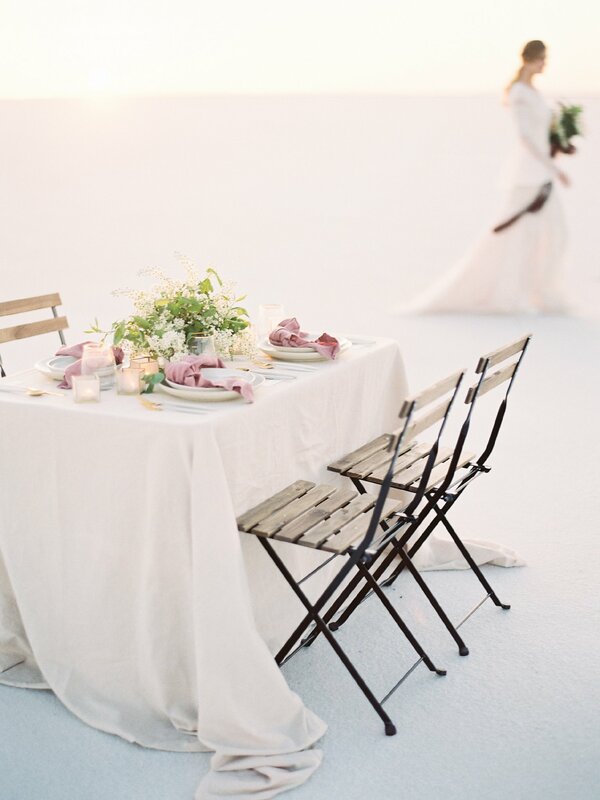 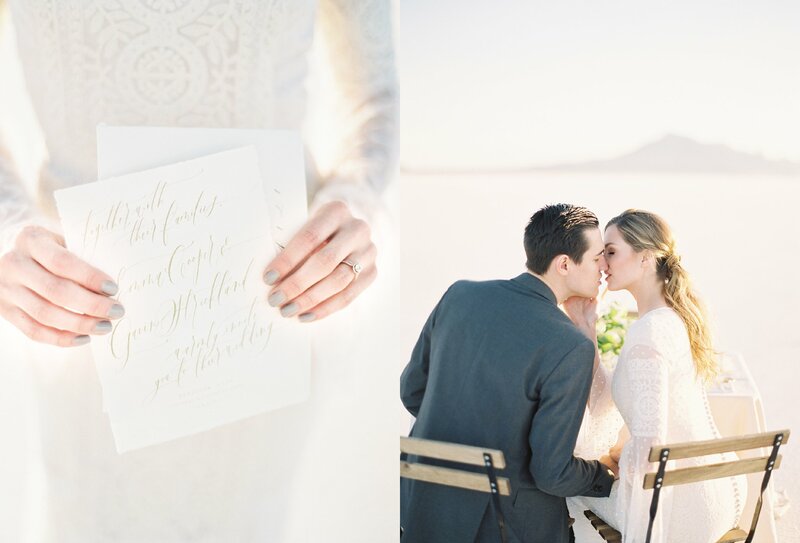 Our Romantic Anniversary Session in the Bonneville Salt Flats was inspired by organic textures, neutral hues and soft tones of mauve. 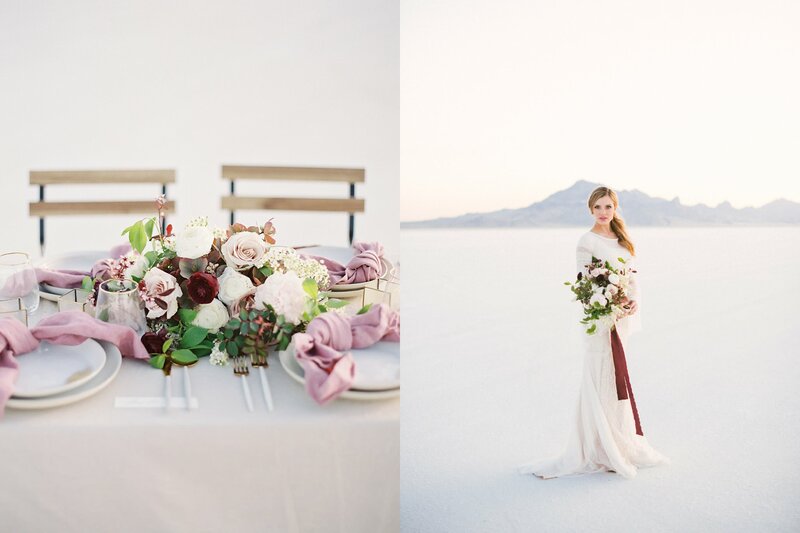 We also incorporated rich tones plum and blush, while focusing on the the effortless beauty of the surrounding landscape. 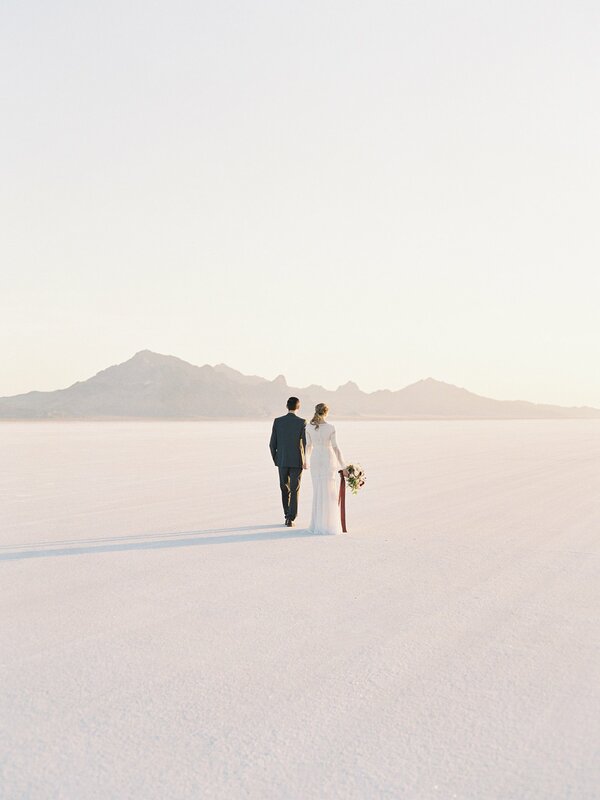 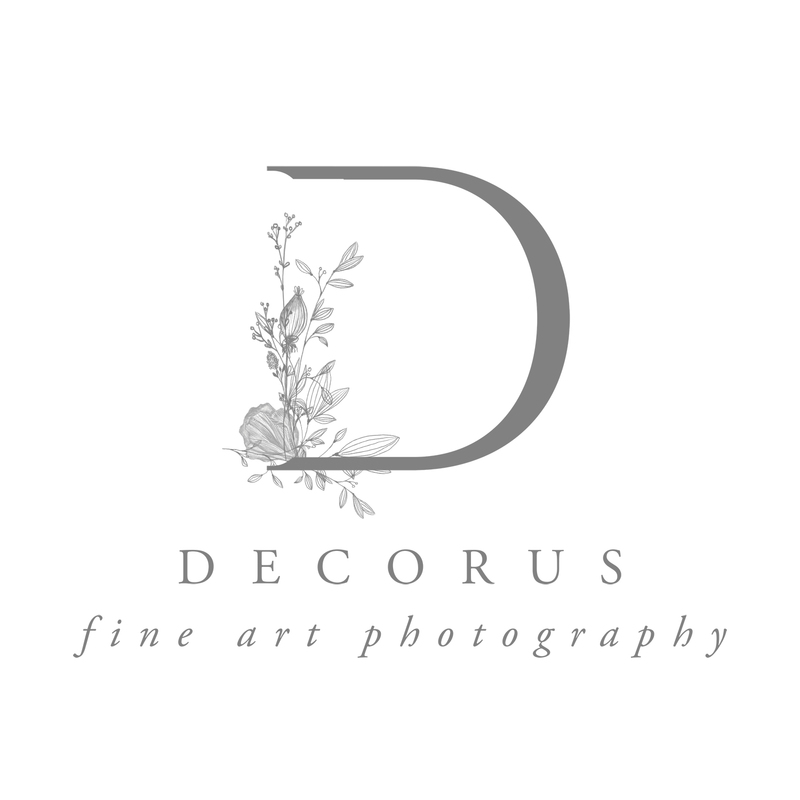 Decorus Photography captured the soft morning light through her use of film photography, focusing in on intimate moments between our bride and groom all while capturing the vast sheets of tightly packed salt and minerals as they glistened under the rising sun. 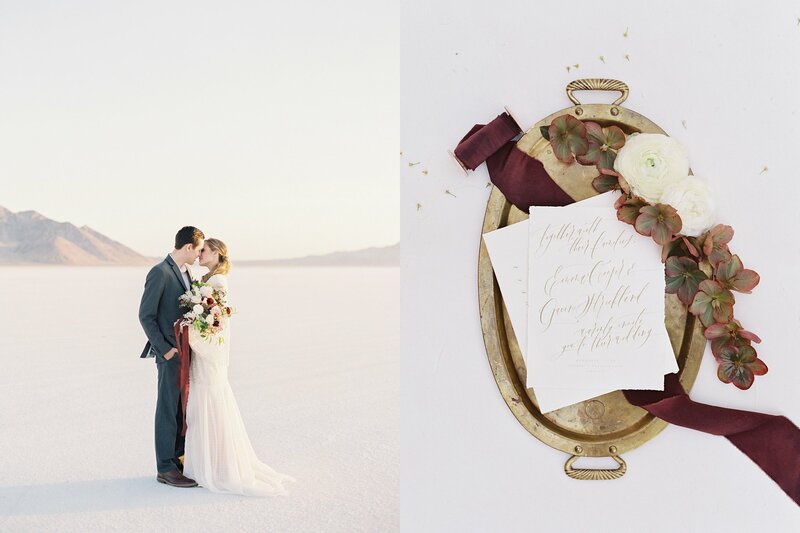 Sweet Grace Floral provided a gorgeous spring floral design with dusty, muted tones in whimsical, organic vessels for this Romantic Anniversary Session. 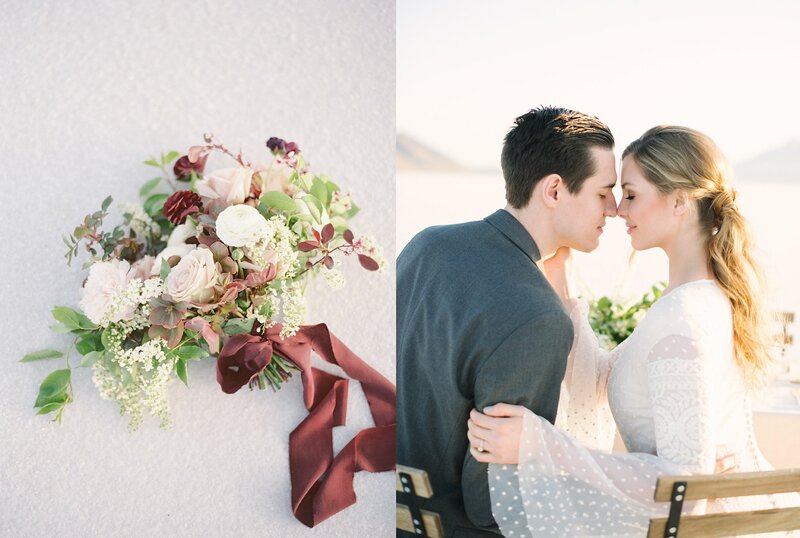 The rich tones of the floral arrangement were complimented by a Tono and Co. silk ribbon. 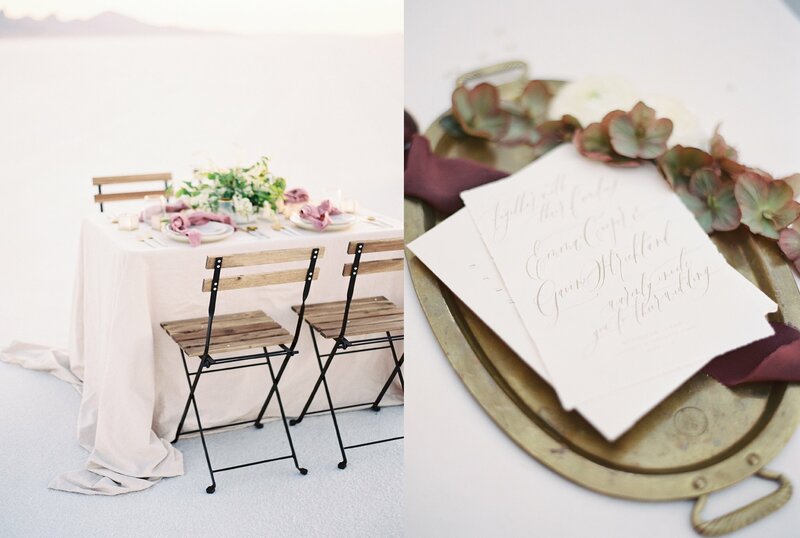 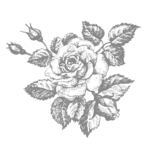 This also added to the many textures that came through in the tablescape and detail vignettes. 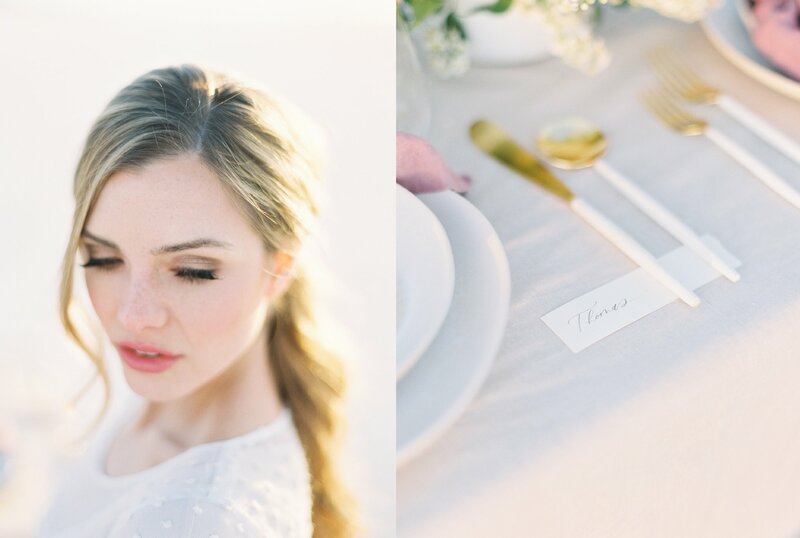 Delicate shapes and bronze metals were paired with organic lines to emulate the bride’s arrangement, pulling inspiration for our spring tablescape, complete with golden rimmed glassware and cloud dipped modern Anthropolgie flatware. 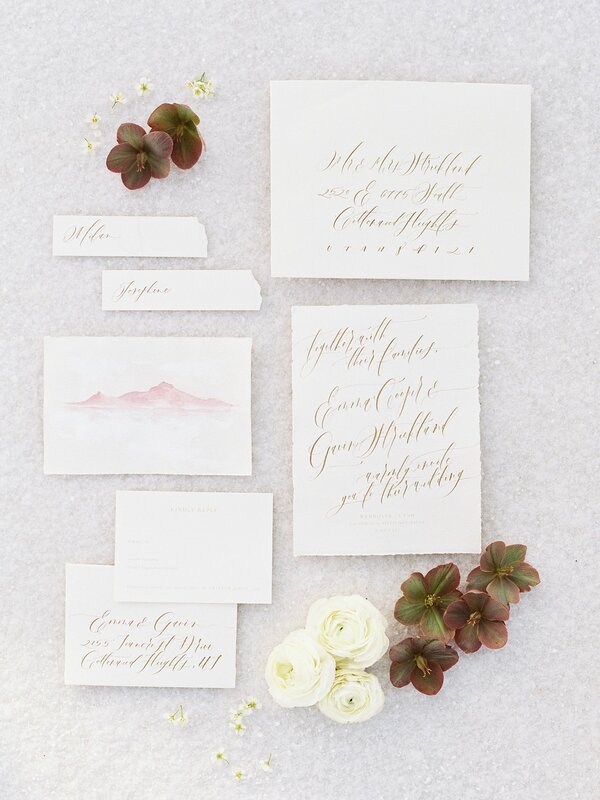 Our stationery suite, created by Custom Crafted, showcased loosely calligraphed envelopes, and illustrations of the landscape made by hand. 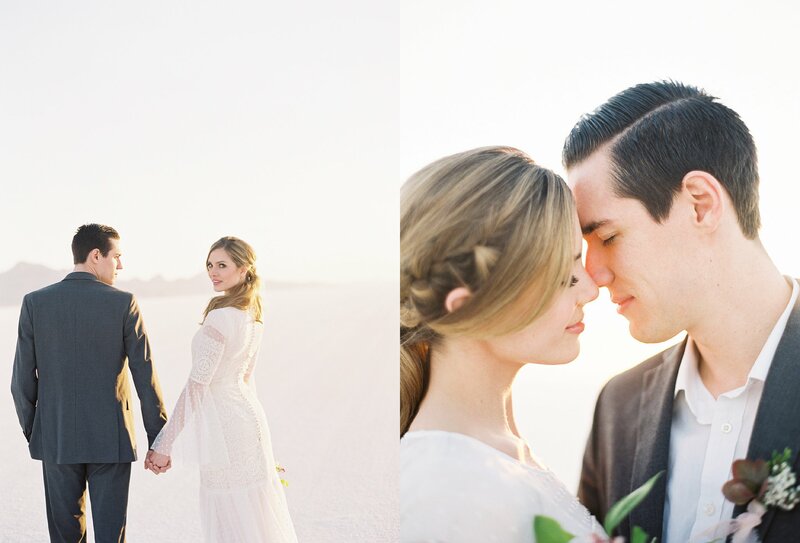 Ally Triolo worked her magic on our couple, highlighting bold brows and neutral glam makeup. 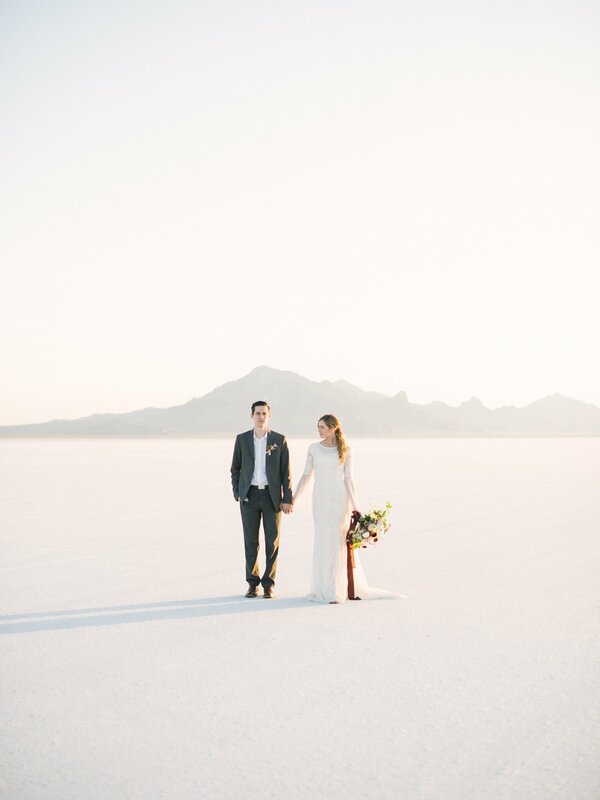 Our bride wore a long sleeved, bohemian inspired gown custom made by Natalie Wynn of Natalie Wynn Design.